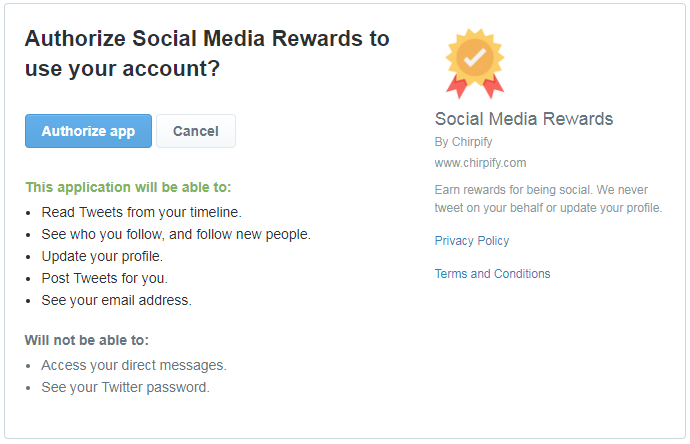 I was going to link my Marriott Rewards account to my Twitter and Instagram accounts to take advantage of the #REWARDSPOINTS social promotions and start taking advantage of the Extra Point Sunday Twitter trivia, but Chipify is asking too much. Update your profile. – why do they want/need to be able to update my profile? Post Tweets for you. – why do they want/need to be able to post tweets? Comment on photos: Post and delete comments on your behalf – why do they want/need to be able to comment? 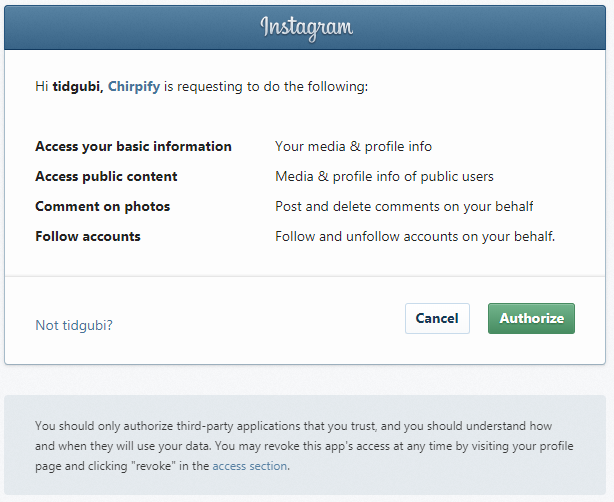 Follow accounts: Follow and unfollow accounts on your behalf. – why do they want/need to follow/unfollow accounts? 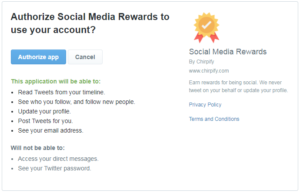 This entry was posted in Rewards, Travel, Web and tagged chirpify, instragram, marriott rewards, privacy, twitter on November 9, 2017 by Kenji Yoshino. I guess 3.5 pts / $ at Amazon.com was too good to be true. Last I checked, Amazon is no longer listed as a retailer. Edited November 1, 2017 to correct actual earning rates in the conclusion. Marriott’s brand new shopping portal, Marriott Rewards MORE, isn’t ready for prime time, but might be worth the hassle for Amazon.com purchases. 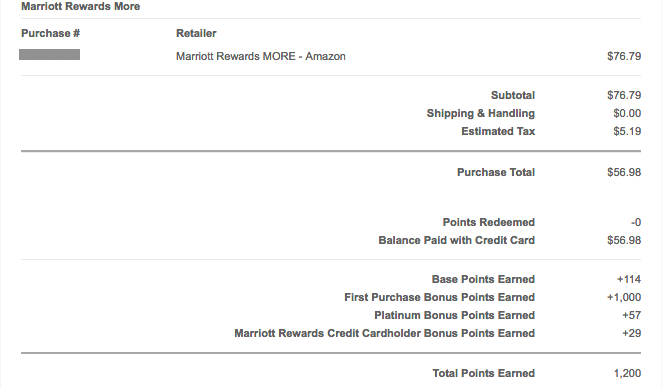 Once you sign in to your Marriott account, the MORE portal shows how many points / $ you can earn. This value appears to take into account all bonuses you are eligible for. The only retailer that stood out to me was Amazon.com. Being a Platinum member and having the Marriott Rewards Premier credit card provides a 50% and 25% bonus respectively. I think it’s better to use a different shopping portal for the other retailers, but this is the only shopping portal where I’ve seen a reasonable value for Amazon purchases. To take advantage of this, you need to install a browser extension or install the MORE app. The browser extension adds a big ugly banner to eligible pages. First I tried through a browser. As far as I can tell, the HTTPS Everywhere extension in Chrome conflicted with the MORE extension and I didn’t receive points. I tried installing the extension in Safari and Firefox, but it gave errors when trying to load in both browsers and no other extensions. You start you checkout process like normal, but when you get to the Checkout page, you need to click "Pay now" to select Marriott points before clicking "Place your order". The checkout page when I didn’t receive points. I finally downloaded the app (which is not available natively for an iPad). Here I was able to complete my transaction with minimal issues. For the $56.98 charged, I received 114 base points (2x pts / $), 57 Platinum points (50% bonus = 1x pts / $), and 29 credit card points (25% bonus = .5 points / $) in addition to the 5% back from using my Amazon Store Card. 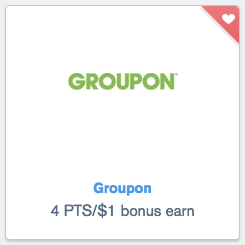 This results in earning 3.5 pts / $. 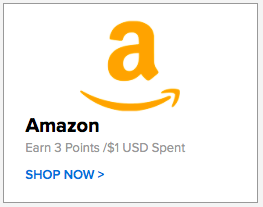 I figure points are work approximately $0.01 each which results in 8.5% back at Amazon. I figure it’s worth the effort to add items to my shopping cart until I am ready to make the actual purchase through the MORE app. This entry was posted in Rewards and tagged amazon, deals, marriott on October 31, 2017 by Kenji Yoshino. If you have multiple cards with Chase Ultimate Rewards and you are trying to maximize your points using the Shop through Chase portal, do a quick double check to see if your cards give you different earning rates. I recently checked Groupon and my Sapphire Preferred offered a 4 pts / $ bonus while my Freedom Unlimited and Freedom both offered 8% extra cash back. Since the Freedom Unlimited gets 1.5% cash back on all purchases, I can get 9.5% cash back on the Freedom Unlimited and transfer that cash back to the Sapphire Preferred. This entry was posted in Rewards and tagged chase, portal, ultimate rewards on October 30, 2017 by Kenji Yoshino.